Beaded jewelry by in itself, is a very unique facet to the world of jewels and ornaments. Unlike conventional jewelry who’s value is largely derived from the type of stones or material used, the value of beaded jewelry comes from their design and the creative worth of the designer making them. A Beaded jewel designer makes use of simple stringing, wire wrapping and stitching techniques to create wearable works of art that are limited only by their own expansive imagination, with the created pieces being very reflective of key trends and styles in the ever changing world of fashion and design. Although designers do their best in not gravitating towards a certain colour or design palette and branch out, the character and vibes of their creations would unmistakably be their own. KEEP IT SIMPLE:A simple string of light-colored beads (think light pink, ivory, or opaque) can contribute an understated classiness. 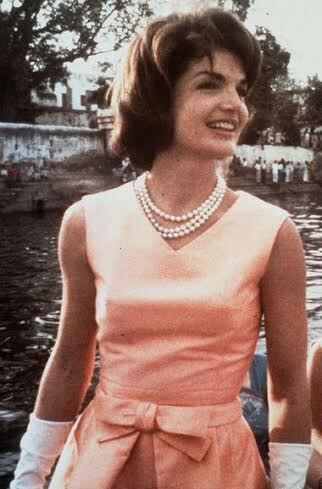 Jacqueline Kennedy’s timeless pearls come to mind. 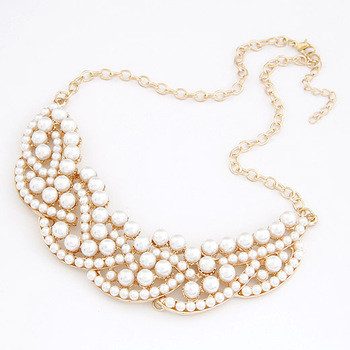 Even without the white gloves, you can achieve the same Classic look with a quick clasp of faux pearls. 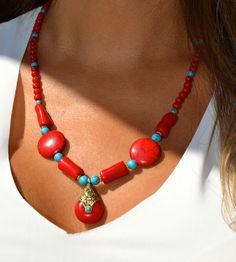 COLOR IS GOOD:A bright pop of color around one’s neck shouts happy. They don’t necessarily have to “match” the outfit you’re wearing, but they do have to “blend.” In other words, A peach wrap for example, looks even more summeresque when paired with faux jade beads. GET LOOPY:The potential for versatility abounds. Try pairing a strand of thin beads with thick. Consider braving several loops or going with one long rope. A simple shirt turns into an outfit with the right pairing of beads. IN COLOR:One of the best aspects of bead jewelry is the amazing range of colors. 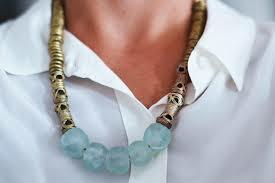 Beads made of plastic, glass, wood, and crystal can be found in all your favorite hues. Gemstone bead necklaces incorporate authentic gems in a rainbow of colors. Wear bright blue, pink, and yellow beaded necklaces in the spring, or brighten a winter day with emerald and sapphire bead jewelry. Shiny metal beads make for contemporary beaded necklaces. Wear metal beaded jewelry with skinny jeans and silk shirts. SIZE MATTERS:Bead size is an important consideration when shopping for beaded necklaces. Large beads make for a dramatic piece of jewelry, while small beads are very delicate and feminine. 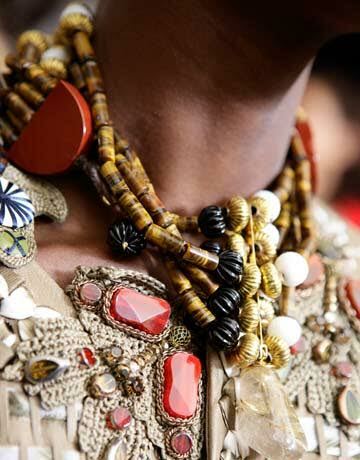 Keep other jewelry to a minimum when wearing beaded necklaces with large beads in order to avoid looking weighed down. So, all you ladies bead it out the right way! Colours have always had a special place in civilization and have made an impact in every walk of life, be it fashion, food, clothing, jewellery, nature etc. Colours rule the roost. Every creator is inspired by the colours of nature, right from the rainbow to the vegetation around us. But the major use of colours, have been in the fashion industry. A wide array of colours has a charm that is beyond comprehension. Precious and non-precious stones have always lured people with their glitter. Stones of various colours naturally occurring have had a fascination both among young and old. The colours, naturally endowed have their attraction, quiet so, for various reasons, chief among them being ‘luck’. 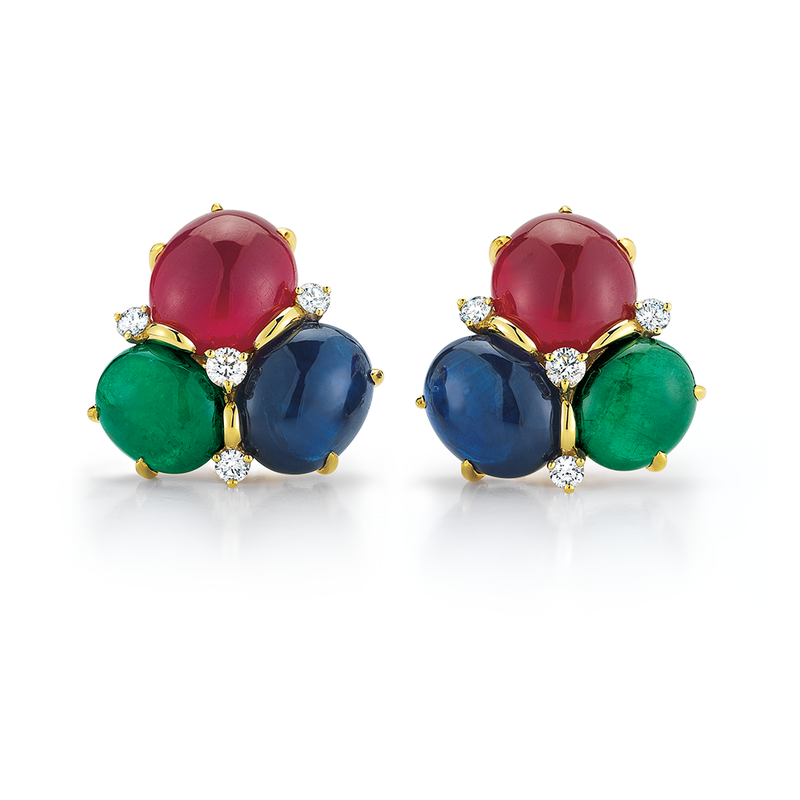 Hence, coloured stones have made their debut into jewellery. Certain colours of stone determine the type of stone. Rubies are red, emeralds are green, sapphire is blue, pearls are white and opal, basically colourless comes in various hues of white, yellow, red, orange or a mixture of the above. Certain gems are chosen as birth stones by people which they consider lucky and there is a great demand for these stones. Stones of various colours are in great demand just for its aesthetic look. When embedded in jewellery these stoned add to the beauty of the jewellery. Today’s fashion jewellery deals with multi-coloured kemp stones, perfectly crafted for wedding outfits to enhance its elegance. Kemp stones are also used in temple jewellery and come in a reddish maroon or a dark green. The term kemp means red colour in various south Indian languages. The stone mesmerizes and tantalizes and is quiet exclusive. 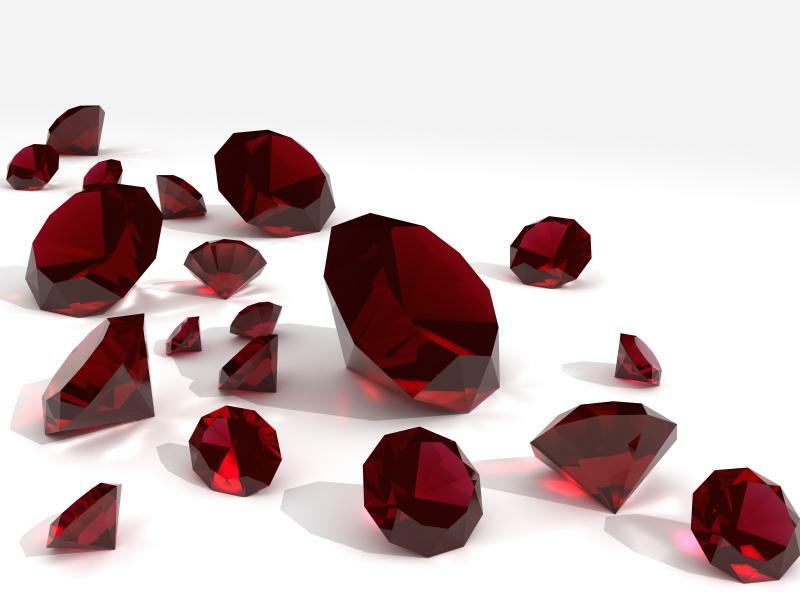 To talk about rubies, they are a red coloured precious gem stone that is a choice of many. It is known as the “king of gems”. It bestows wealth, status, respect and dignity. It is also a lucky charm for people born under certain birth signs. 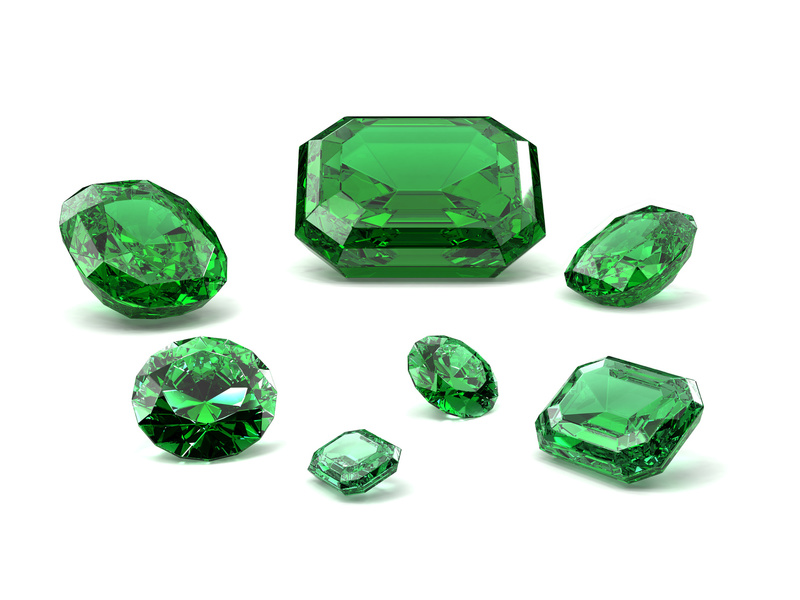 Moving on to emeralds, it is considered as the most precious of all gems. Its colour is dark green that has yellow and blue as secondary colours. It is connected to learning and mental development. Another fascinating thing about emeralds is that it is associated with the planet mercury and is desired by people under the zodiac signs of Gemini and virgo, who benefit most from this beautiful gemstone. 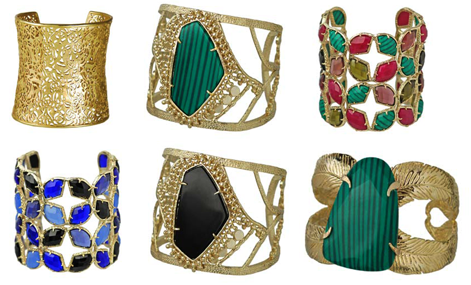 Choose your gemstone from these lovely variety of gemstones and flaunt it in style. We all have our favorites in jewellery. Some of us like pearls…and some like chunky oxidized silver jewellery. Few are crazy about antique gold jewellery and few wants the shining american diamond stones on their necklaces! Just like our favorite colors says our personality, our favorite jewels also means something. If you think that just a string of pearl around your neck could light up your entire look, then you are the kind of woman who loves simplicity and comfort! You are classy with a sense of elegance and would like to keep your work life and social life as separate as possible. Chunky earrings and funky look! If you someone who loves to wear chunky jewelry such as big hoop earrings, thick dangling necklaces, or extravagant rings, you are more likely to be an active, social and bubbly person. You are the ones usually surrounded by groups of people at a party. You love fancy…You love glitters…you love gazing at the stars on the sky. Your entire jewellery collection is filled with shining stones, zircons & diamonds! If this describes you, then you love freedom and embrace independence. You are bold and hate to be dependent on anybody. You like to get things done your way! Now tell us what is your personality?!!! Must know Jewellery tips for the pretty bride – to – be’ s ! Indian weddings are the most colorful and culturally rich weddings that can be seen! Right from the event planning to the minor invitation detailing, planning a wedding can be truly a tedious task. Though we cannot help you in the planning and the execution part, we can make the stress of bride a lot more lighter! Now you don’t have to go around looking for bridal jewellery that is both exclusive and affordable in each shop or jewellery store. You can get them all in the comfort of a click at our online store. Here we present some exclusively antique and vintage jewellery that will make the groom go weak on his knees! 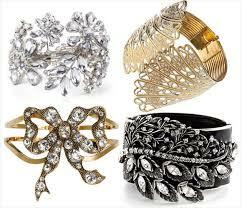 These are the best option for muhurtham jewellery. When worn over a arakku pattu saree or a crimson red kanchivaram, the contrast these jewellery show is priceless! Yet they come in an affordable price range with us. For reception, women generally prefer a rich lehenga with swarovski stones/ a designer saree. The best kinds of jewellery that go with these are, kundan jewellery or american diamond jewellery. Let us give you a very important tip. If your reception outfit is in the shades of light pink, blue or green, go for american diamond jewellery. 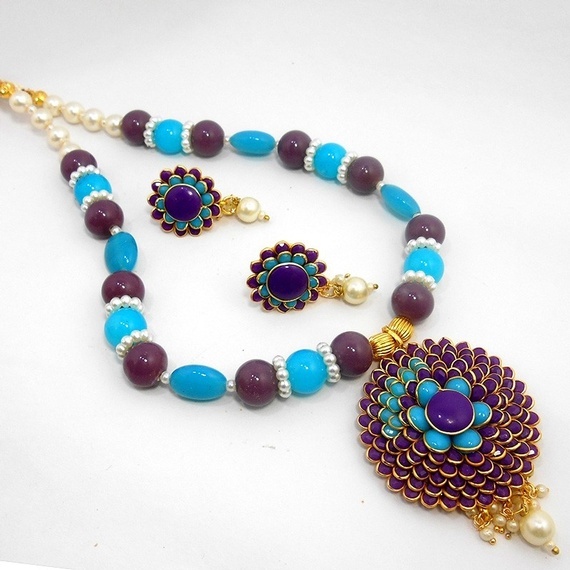 If it is in the shades of red, violet or yellow go for kundan jewellery. Fortunately or unfortunately our wedding events does not end with just one or two events. We have sangeeth, mehendi, nalangu, mappilai azhaippu and much more smaller events where the bride is expected to be dressed equally good as her muhurtham day! For these you can go for beaded jewellery or kemp jewellery to give some variety to the guests awaiting to check out the bride’s jewellery. Here is few options for all the smaller events. Gear up for all the never ending invites from the relatives for virundu or lunch getogethers with friends post wedding. The brief to be need to look as fresh as she was during the wedding. You can choose simple pendant sets for all the virundu and family getogethers while stylish earrings/ chunky necklaces will keep you covered for the parties with friends! Now you know everything you need to know to be the pretty and rocking bride- to- be! Shop every piece of jewellery you need at one stop shop online jewellery store http://www.mysticcollections.com !